The introduction of new technology raises questions and concerns. We have learned that different individuals adopt products at different times, depending on their attitude, needs, and expectations. Chances are, if you are not an avid early adopter of a product, it is normal that you feel some skepticism. This skepticism is present in the realm of Smart Home technology. A primary concern in this field is voiced from the standpoint of over- connectivity. “Will my information be visible for all to see if I connect multiple devices to my home?” This question comes at the foothold of the “cloud”, a mysterious virtual sphere where information is sent and stored, forever. Smart Home technology is connected and centrally controlled through a user’s smartphone. Any Wi-Fi and Bluetooth enabled device is vulnerable to security breaches. However, when connecting your smartphone to Smart Home technologies, the risk seems to increase. 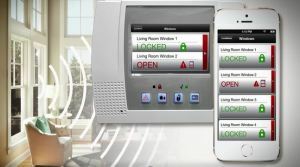 Now, hackers can have access to not only your phone, but systems that operate in your home. A simple solution to this concern is making sure to have your smartphone password protected. On editions as early as the Apple iPhone 5s, this password can be the owner’s fingerprint. Biometric passwords like fingerprint scanning are increasing rapidly and provide a high level of security. Passwords act as a simple yet strong protective measure to ensure the safety of electronics. The above concerns should be remembered as a precautionary tale of network safety. However, counteracting the apprehensions surrounding Smart Homes is the reality that there are a multitude of Smart Home technologies with capabilities to actually make our homes safer. Take the Halo Smart Smoke Alarm for instance, marketed as “the smoke alarm that other alarms want to be when they grow up.” This device uses audio messages and color coded lights to warn not only of fires, but of natural disasters such as hurricanes and tornadoes. It has the technology to detect both fast and slow burning fires, which most traditional smoke detectors are unable to do. This revolutionary device communicates so effectively with homeowners, that its report on uncontrollable external factors has the real potential to save lives. Another product offering providing protection for your home is Andersen Windows VeriLock. These security sensors detect if windows and doors are locked, unlocked, open, or closed. Built directly into the hardware of your home, the devices are invisible. The status of your doors and windows can be self-monitored through your smartphone or linked to professional monitoring companies. In addition to providing extra security to your home, a closer management of windows and doors can improve energy efficiency, since even a closed window, if unlocked, can lose air at a rate up to three times that of a locked window.